Educational Research: Planning, Conducting, and Evaluating Quantitative and Qualitative Research offers a truly balanced, inclusive, and integrated overview of the field as it currently stands. 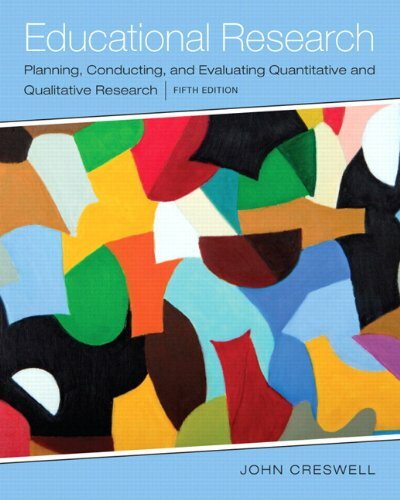 This text provides thorough coverage of the methods and procedures used in quantitative, qualitative, and mixed-methods research. It helps students learn how to begin to conduct research and see a project through preparation of a manuscript, and it also helps students learn how to read and evaluate research reports. The Enhanced Pearson eText features interactive learning modules and assessments.